STRANGE MAGIC is the authentic re-creation of legendary '70s rock band ELO (Electric Light Orchestra), a multi-media show featuring not only music but background imagery and film. 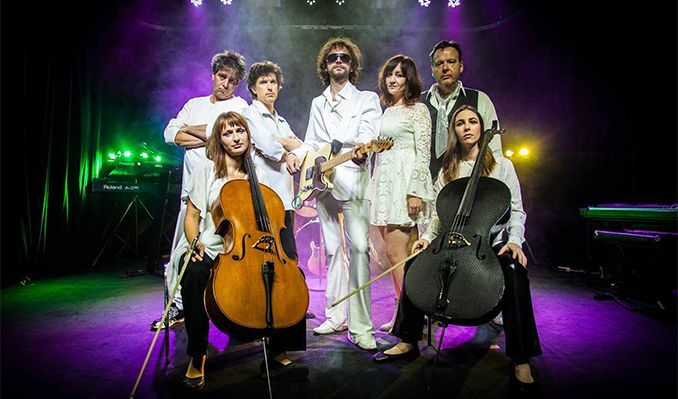 A 9-piece group of multi-instrumentalists perform all of the sounds used in a real ELO show, with vintage keyboards, live cellos, and intricate vocal arrangements. STRANGE MAGIC unleashes a span of ELO hits, including Living Thing, Evil Woman, Strange Magic, Don't Bring Me Down, Ma Ma Belle, Shine A Little Love and all the rest! Get ready to time-travel back to the classic rock era of the '70s! It doesn't get any closer than this!